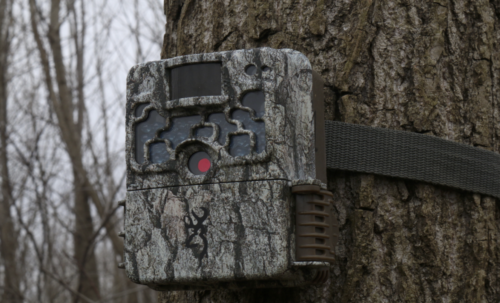 Trail Cameras have become a big part of the modern hunters scouting strategies. But many fall short by not putting in the time to scout and find new places to put their trail cameras. These 4 simple trail camera techniques will help you get more pictures of your monster bucks. As the bucks begin to grow and racks begin to form, it is time to put trail cameras up on popular mineral sites. The nutrients deer need can be found in these minerals for the growth of antlers and milk production of fawns. This is a great place to determine deer density and take an early season inventory of your deer herd. This time of year, bucks shed their velvet and their testosterone levels begin to rise. 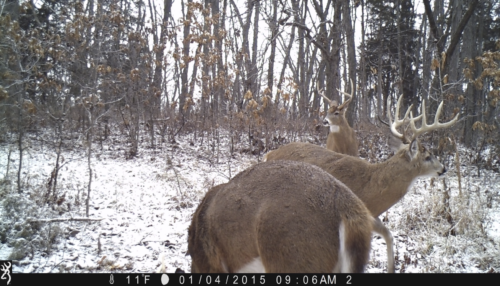 When scrapes and rubs become more visible, it is time to move your trail cameras. Scrapes are a great place to find mature bucks looking for receptive does. 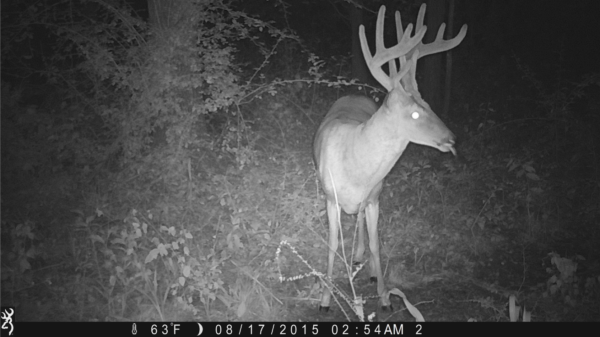 Most bucks visit scrapes in the cover of darkness, but are easy to get great pictures of. When the does start to come into heat, bucks really start to move. As bucks begin to seek does, food sources become a hot spot for deer activity. By putting a trail camera on the edge of a field, you are likely to get pictures of bucks checking for receptive does. Also helping to show where and what time they enter the field. 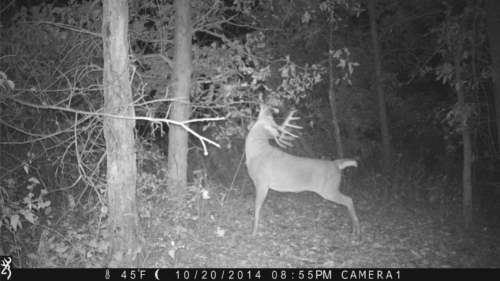 As the rut winds down, bucks begin showing the toll of heavy rut activity. Low body weights and broken, beat up bodies, bucks become slaves to their stomachs. This is the time of year that corn stations or late season food plots become key trail camera spot. These pictures can help you find out what bucks made it through the season and ones to write off the hit list. Blog originally posted on The Break TV blog by team member Stephen Jones.